Try our new multipack and save. PainFree Pill is different from any other treatment on the market in that it uses the principle of chronobiology. Traditional formulas only act during the day – PainFree Pill works day AND night! Chronobiology is based on an understanding of human biorhythms, and the times of day most conducive to the healing or regeneration of specific organs. It’s proof that the human body really does work like a clock that ticks in response to the nutrients it absorbs. Our 2 formulas – Day and Night – are perfectly synchronized with the rhythms and metabolism of the human body. So you get fast, visible results in the treatment of all types of joint conditions. 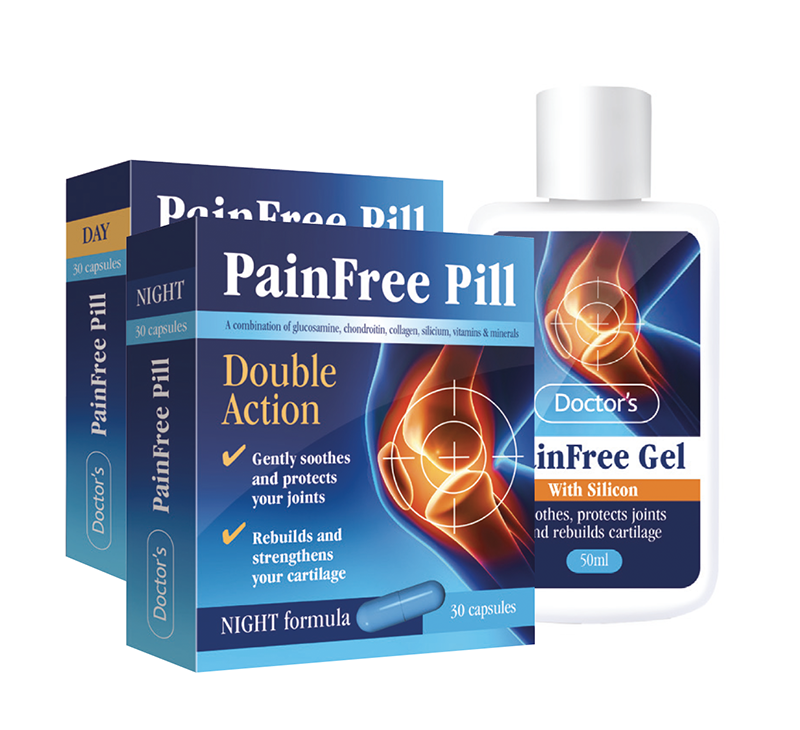 Created to be the perfect partner to Pain Free Pill, Painfree gel is a potent remineralising silica gel helps improve mobility. 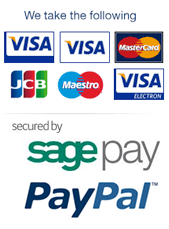 Its easy-to-apply gel can be applied directly to the site of your joint discomfort. Keep out of reach of children, store in a cool dry place. To be consumed within a balanced diet. Do not exceed the directed dose. Gel - For external use only. Avoid contact with eyes. Please apply this product to a small area on your forearm to test for allergic reaction before use. If reaction occurs, discontinue use immediately. Day Formula - Take one capsule with a glass of water in the morning before breakfast. Night Formula - Take one capsule with a glass of water in the evening before bed. Gel - Apply to affected area not more than 3-4 times per day. Under the age of 18 consult a physician before using. If pregnant consult a physician before using. Day Formula - Ingredients: Stinging Nettle Powder, Blackcurrant Powder, Turmeric Powder, Gelatin Capsule, Vitamin C, Microcrystalline Cellulose, Magnesium Stearate, Vitamin E, Manganese, Copper, Silicon Dioxide, Selenium. Night Formula - Glucosamine Sulphate 2KCL (shellfish origin), Silicium (Bamboo Extract), Gelatin Capsule, Calcium, Chondroitin Sulphate, Collagen (Marine), Phosphorus, Microcrystalline Cellulose, Vitamin D, Magnesium Stearate, Silicon Dioxide. Gel - Purified Water, Glycerin, Glucosamine Sulphate Sodium, Alcohol, Chremophor RH40, Menthol, Silicon Dioxide, Phenoxyethanol, Spiraea Ulmaria Flower Extract, Corbopol 940, Triethanolamine, Potassium Sorbate, Sodium Benzoate, Hyaluronic Acid.